If your manager allows it, you can view a list of other workers and any contact and schedule information that your manager and the other workers allow. You can control whether your own email and/or phone number appear on this page using your Info page. Your manager controls whether you are able to see the other workers' work schedules from this page. If a link to the schedule is visible, you can click it to view all of their future scheduled shifts. 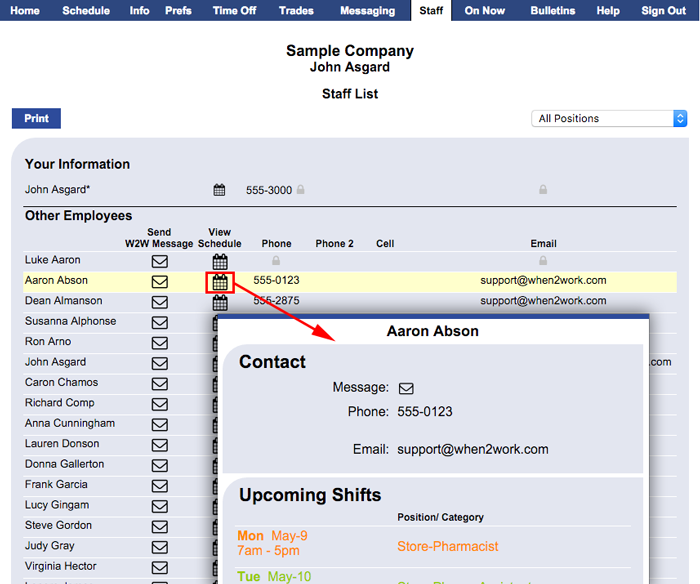 You can also click the worker name to send a message, or their staff email address to send them an email.